So another over 100 day in store today. Yuck. This image is from last weekend before this started on a fairly cool evening. I took this after my disappointment at not finding a sunflower field anywhere around us. 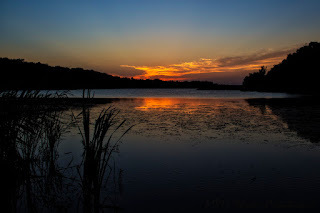 I headed for the Geary State Fishing Lake to view the lovely sunset. At least the drive wasn't a total waste.